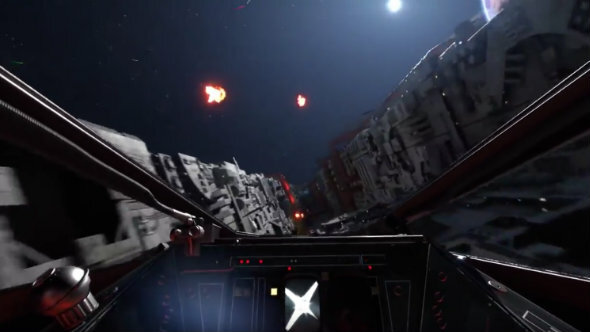 Do you own Star Wars Battlefront, but not its season pass? Would you like all of its content for free? Then boy, do I have good news for you. Save that galaxy far, far away in the best Star Wars games on PC. Star Wars Battlefront’s season pass is now entirely free on Origin. Just head here and claim it. The season pass includes four expansions, which add new weapons, heroes, maps, and game modes. Highlights include the Bespin pack, bringing Lando Calrissian and Cloud City (still one of the most stunning settings in science fiction, for my money), and the Death Star pack, which adds Chewbacca, Bossk, and a new map and game mode set on the iconic battle station. The listing on Origin says the “on the house” deal is “available for a limited time only,” so I’d hustle, if I were you.